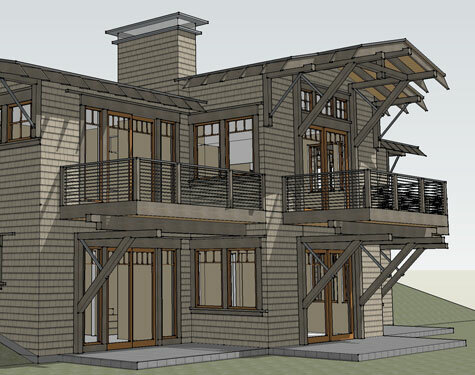 Jim Rozewski designed our beach home on the Oregon Coast. It was a difficult design in that we wanted to fit so much into a highly restricted building envelop with limited building height. Jim is a very creative designer. He gave us everything we wanted and then some in a remarkable design. 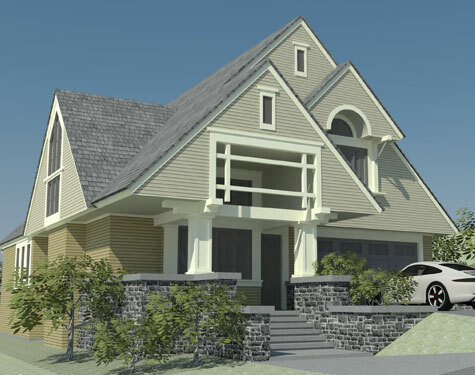 Throughout the process, Jim was very helpful and always positive (even jovial) as we addressed all of the problems and issues associated with a challenging design. It was indeed an honor and pleasure working with Jim and Becky on this project. We are thrilled with the result and believe we have made wonderful new friends in the process. So happy in North Rim! 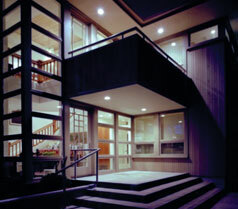 Rozewski & Co designed and oversaw construction of a new house for me from initial concept to final completion. The design was innovative yet classic, the process was inclusive and fun, and the finished product exceeded expectations. Highly recommended! After interviewing several architects we were still looking for the connection that felt right. On leaving Jim's office, after our first meeting, we looked at each other and said, "That's our guy." The design process was new to us and Jim made it a pleasure. He is easy to work with and his creativity and enthusiasm for his craft are evident. The design was a cooperative effort with an exchange of ideas and a great result. Responsive to our whims, he made the whole experience a delight. 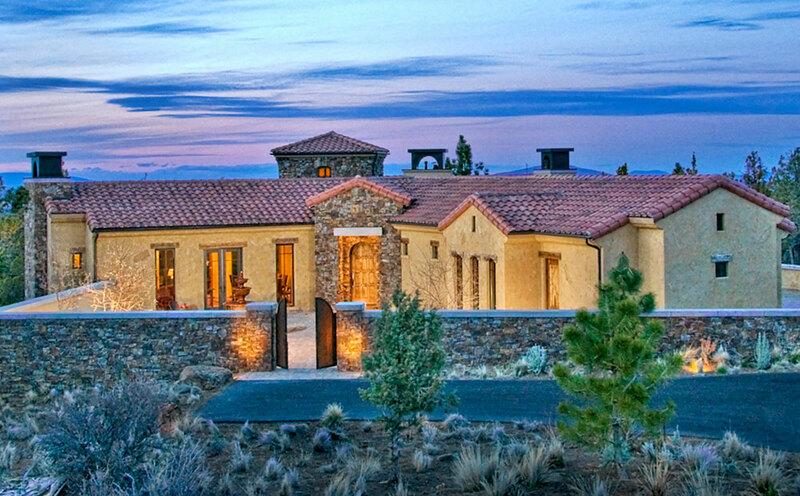 My wife and I worked closely with Jim and Becky to design our new home in North Rim. Jim guided us expertly in understanding and unlocking the potential of our building site while respecting its natural elements. 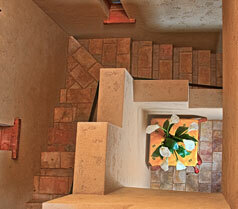 Jim and Becky listened to us describe our desires for the house and cleverly translated those desires into designs. Whenever we came up with a great idea for the house, they took the idea and made it even better. Jim Rozewski has been very responsive to our needs. He listens well and is very creative without being obtrusive. He represents us well with the ARC Board members and has established a great rapport with our Builder. He follows up on his work without having to be reminded. We recommend him to all. I have known and worked with Jim on a variety of projects over a number of years. In addition to being an entertaining and thoughtful person, Jim has the ability to translate a client's ideas into exciting, livable design. 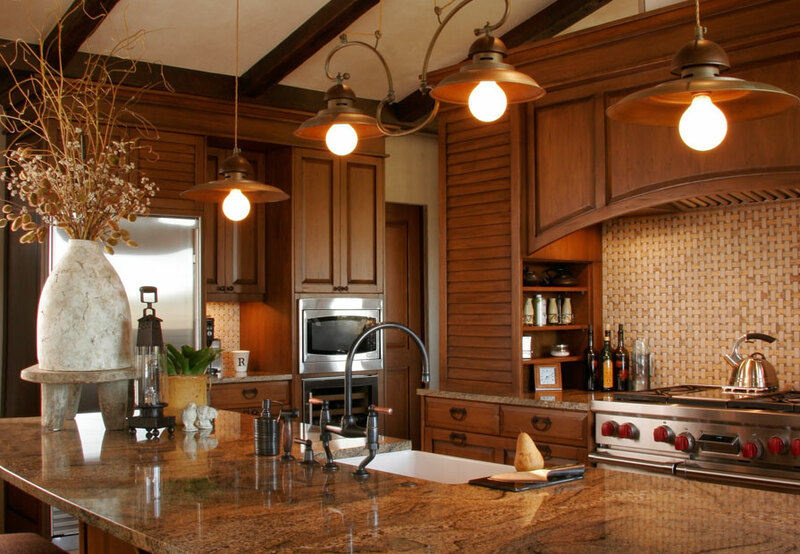 Jim's homes have the enviable quality of being both striking to look at and comfortable to live in. When we were looking for a designer for our new home, we had three goals. 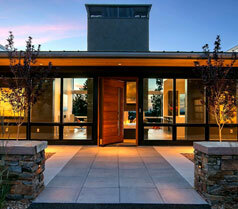 First, we wanted an experienced designer with a good track record designing quality homes. Second, we wanted someone whose portfolio demonstrated creativity and included modern designs. And third, we wanted someone we would enjoy working with and who would welcome our involvement in the design process. We selected Jim Rozewski and he has lived up to our expectations. 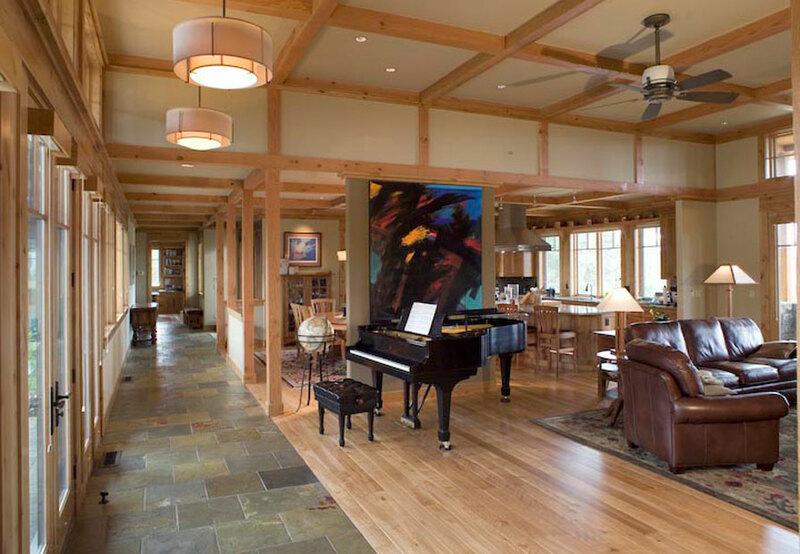 Jim excelled at orienting the home on the site, developing a blend of our favorite oriental and modern design themes, and translating our dreams into a workable floor plan. The process was highly collaborative (and fun), with each of us bringing ideas to the table and helping to shape the final design. Jim's enthusiasm and innovative solutions helped us through many a design challenge. I've known Jim as a friend and as a client since 1979. 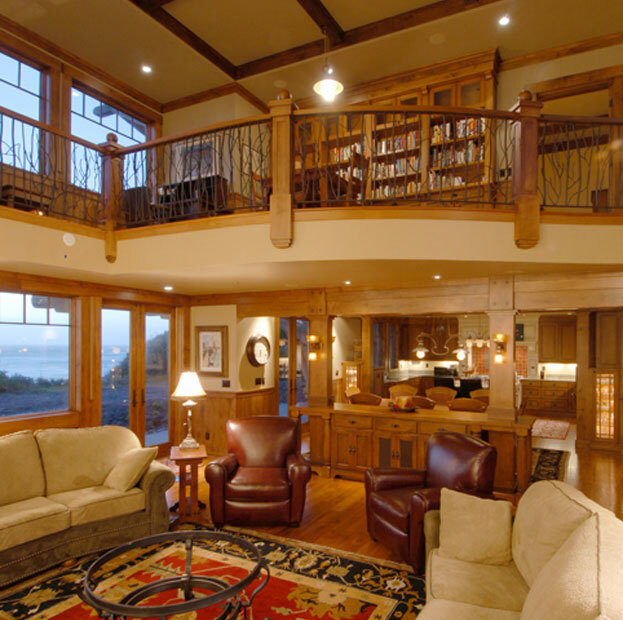 Jim has designed a home, a home remodel, and multiple commercial projects for me over the last 27 years. Jim brings great artistic talent, refreshing uniqueness, and a thorough understanding of Central Oregon to all of his projects. He also makes you laugh a lot. Our Home Orientation was key! 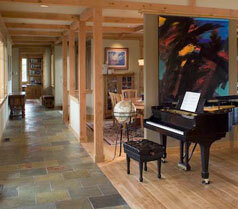 Jim Rozewski's creativity in designing our home exceeded our expectations. 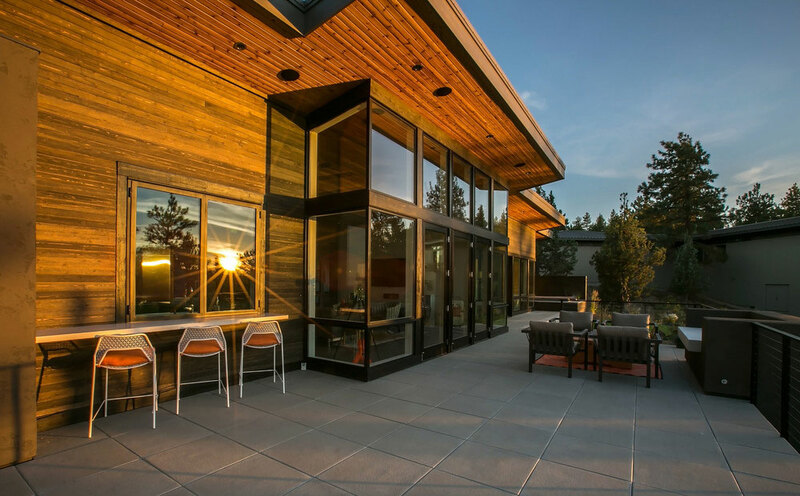 With Jim growing up in Central Oregon, he has full knowledge of the proper positioning of a home in order to deal with the sun exposure, the weather conditions and also how to take full advantage of the views. We feel very fortunate to have chosen Rozewski & Co., Designers and enjoy the friendship we have built. Great guy! Easy to work with! In short, working with Jim Rozewski is kind of like reading a really good book. You enjoy it so much that you kind of hate to read the last page. That's the way it was with us and the design of our home. 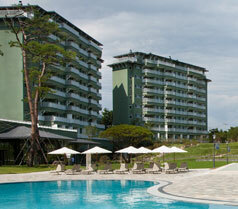 We were elated to have the project completed, but sorry that our work with Jim had come to an end. Jim: "a modern day Frank Lloyd Wright"
Jim was able to capture our ideas and dreams and transform them into an elegant yet practical home. He captured the feeling of space where every window is a picture frame. We believe him to be a modern day Frank Lloyd Wright. Creative, Fun and Easy to work with! Creative, fun and easy to work with, these describe our experience of working with Jim Rozewski. 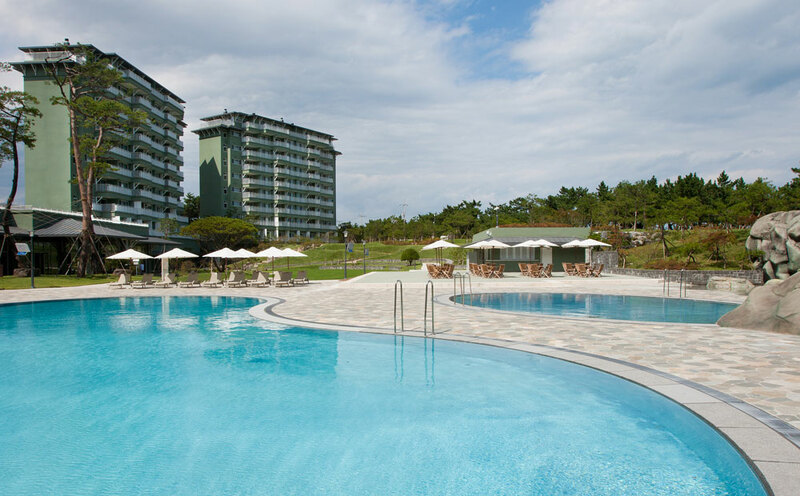 Jim successfully translated our needs and desires into a plan that fits naturally on our site. 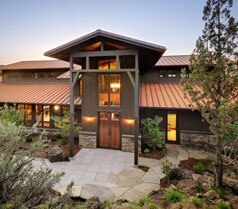 His knowledge of the building requirements imposed by our Central Oregon climate was invaluable. 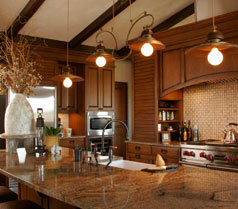 We recommend Rozewski & Co., Designers and welcome any questions about their work. Jim is truly a free thinker, with a flexibility we appreciated. Both my wife and I felt that he was a great listener and was most receptive to our ideas. 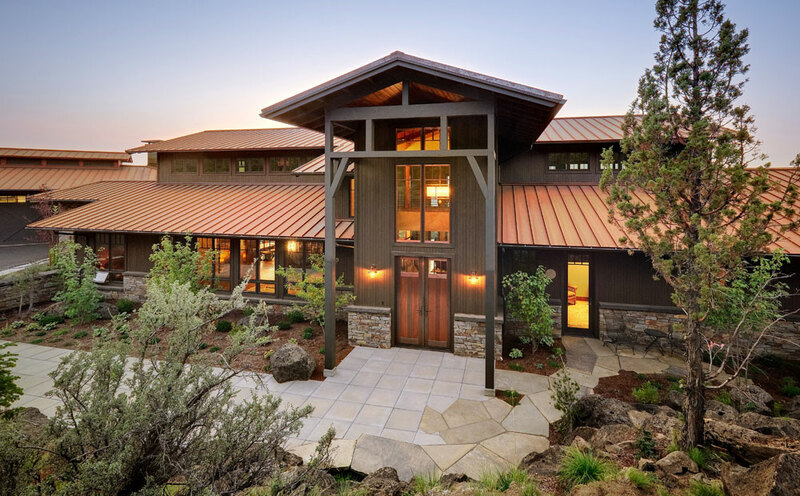 The result of his efforts was a home that was selected "Best in Regional Style / Northwest" for 1991 by CUSTOM BUILDER Magazine. If you want something special our vote goes to James Rozewski, Designer. Our thoughts came alive! Jim translated our thoughts and his concepts into a design for our new home that works far better than we could have hoped. Working with Jim Rozewski, this creative and talented designer, was a real pleasure. Jim successfully transformed our thoughts and dreams into a home that not only satisfied all of our expectations, but fit all of our requirements onto a most difficult site. 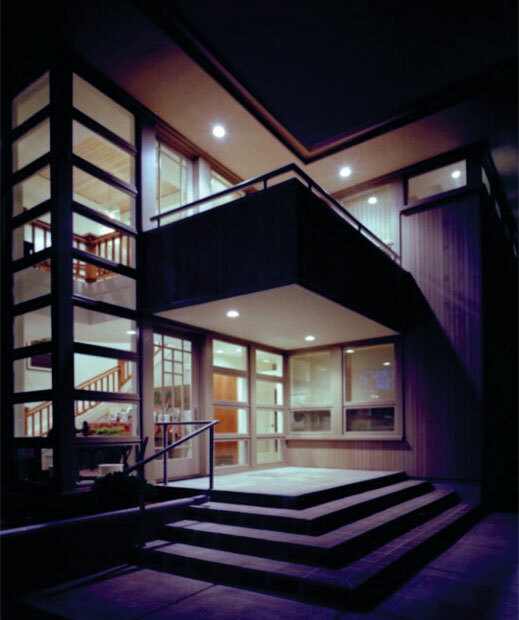 Our home was also selected by CUSTOM BUILDER Magazine as "Best Architectural Style, 1992" in a nationwide competition. 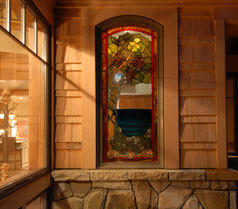 Jim’s vision would elevate our basic ideas to beautiful flowing concepts repeated throughout the design. This was thrilling for us as we watched the design unfold. Jim’s desire to please and to lend his special genius to his clients was wonderful and reassuring for us. We were also delighted with his great, good humor and we now consider him a friend. We depend on him and he really came through for us. We love our home! We were absolutely amazed at Jim’s ability to listen to our disjointed thoughts on what we liked, and actually produce a design. He is a outstanding communicator and a very good listener. He is able to transform subjective feeling and conversation into a tangible design. He is extremely talented and has been fun to work with and get to know as a person. As a long time Fire Chief, I am very cautious and somewhat skeptical going into projects. Jim has met our expectations of him and has become more than just the guy designing our home, but has become a trusted friend. Working with Jim was always a pleasure and often magical. Seeing his design come alive was stunning. Jim has created a home for our family that I feel lucky to live in every day. He was absolutely brilliant. Best of all, Jim was a friend to us throughout the design and construction process and remains so today.